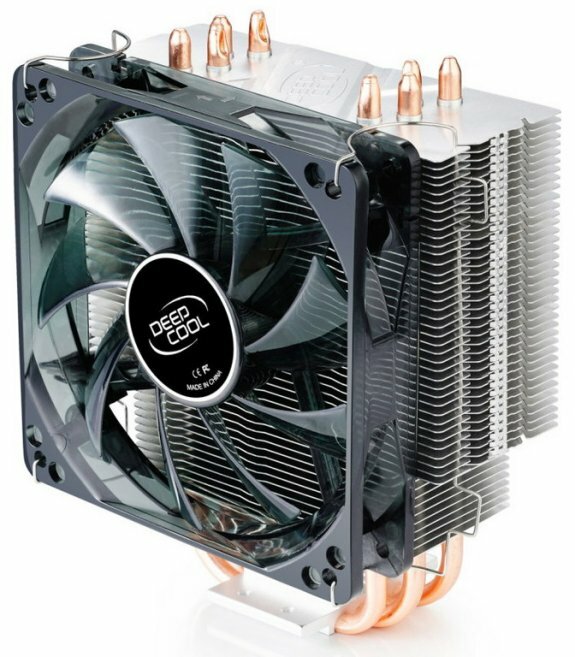 Deepcool presents the GAMMAXX 400, a new budget processor cooler with a MSRP of 28.99EUR. 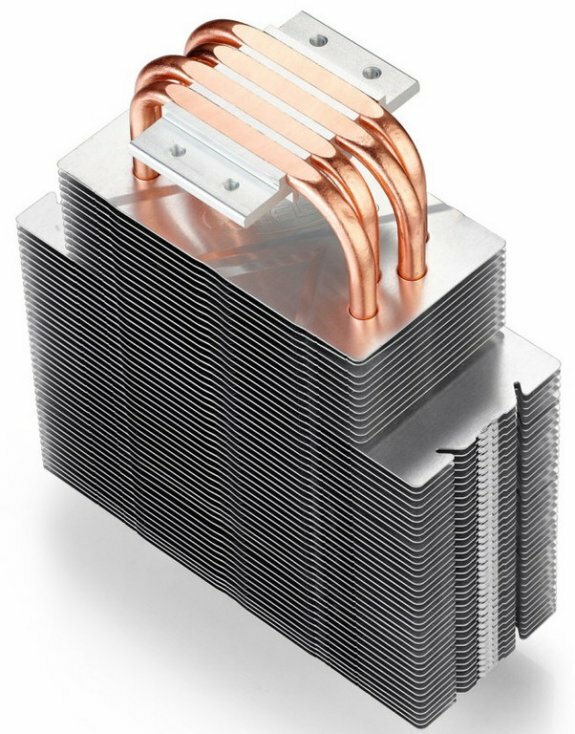 The heatsink features four direct-touch copper heatpipes, 50 aluminium fins, and a 120mm hydro bearing fan with a rotational speed of 900 to 1500RPM, and a respective noise level of 21.4 to 32.1dBA. It measures 135mm x 76mm x 159mm and weighs 638g. The GAMMAXX 400 supports Intel's LGA1366/LGA1155/LGA1156/LGA775 and AMD's Socket FM1/AM3+/AM3/AM2+/AM2/940/939/754 processors.